WARSAW – The first challenge to the Western hegemony that followed the collapse of Communism in Europe was the emergence of the so-called BRICS countries – Brazil, Russia, India, China, and South Africa – in the 2000s. Rapidly growing and collectively accounting for nearly half of the world’s population, the rise of the BRICS seemed set to tip the balance of power away from the United States and Western Europe. Today, the BRICS look like less of a geopolitical threat to the West. Russia, Brazil, and South Africa are in severe economic straits, and China is wobbling. Only India maintains its luster. And yet the West is coming under pressure again, including in its own backyard. This time, the challenge is political, not economic: the rise of politicians who relish conflict and disdain national and international law and democratic norms. I call such leaders “PEKOs,” after the four most prominent examples of their kind: Russian President Vladimir Putin, Turkish President Recep Tayyep Erdoğan, the Polish politician Jarosław Kaczyński, and Hungarian Prime Minister Viktor Orbán. PEKOs do not view politics as the management of collective emotions in order to achieve broad policy goals: faster economic growth, a more equitable distribution of income, or greater national security, power, and prestige. Instead, they regard politics as an endless series of intrigues and purges aimed at preserving personal power and privilege. The PEKOs share the Russian revolutionary Vladimir Lenin’s belief that “politics must take precedence over economics.” Indeed, they value it over every other kind of policy consideration. Politics is not a means to an end, but the air they breathe, and policies are merely instruments in their endless struggle to stay alive. It would be a mistake, however, to think of the PEKOs as today’s equivalent of the “Great Dictators” of the 1930s. The PEKOs may be nationalists, but their opinions would not have been out of place in the drawing rooms of Europe before World War I (the same cannot be said of the Nazis or the Spanish Falange). Nor is their economic approach necessarily statist. Putin certainly has strong dirigiste leanings, but if Orbán and Kaczyński are deserving of the label, then so was French President Charles de Gaulle. And Erdoğan has actually dismantled Kemalist statism in Turkey and introduced free-market policies. The biggest difference between the Great Dictators and the PEKOs is that the latter regularly have to face their electorates. Indeed, their confrontational politics is the central element of their survival strategy. Each one of them has gained (or maintained) power by polarizing their societies and mobilizing their electoral base. The PEKOs’ political style has been enabled by modern news media, which, scrambling for audience share, simplify and sensationalize issues. Starkly antagonistic statements and positions tend to gain the most exposure. This gives confrontational politicians a powerful advantage, and produces the electoral polarization on which the PEKOs have fed. This political strategy is undoubtedly effective. In Russia, for example, real wages fell by more than 9% in 2015, and the share of Russian families that cannot afford adequate food or clothing has increased from 22% to 39%. And yet Putin’s approval rating remains at 80%. Unlike the emergence of the BRICS, which ultimately was a boon to the world economy, the rise of the PEKOs poses a real threat – especially as they begin to apply their confrontational approach to foreign affairs and global economic governance. International firms should be particularly concerned. Having spread their operations across the world during the quarter-century since the fall of Communism, they have become dependent on rules-based stability and economic integration. Their fortunes will increasingly depend on developing strategies to avoid (or at least hedge) the new risks posed by PEKOs. Similarly, in at least two major Western democracies, serious candidates for the highest office are acting like PEKOs: US Presidential candidate Donald Trump and the French National Front leader Marine Le Pen, who will seek her country’s presidency in 2017. If their bids for power succeed, the dangers posed to global stability will rise by an order of magnitude. It doesn’t take much to stampede the herd when markets are oversold and plenty of nervous money is still dominant. Crude oil, which had been an anvil around stocks neck for some time, gained sharply once again on rumors from the UAE OPEC could meet to coordinate production cuts. But, should that happen, cheating would begin almost immediately. Nevertheless, crude oil had been extremely oversold, so the herd was easy to spook. Bulls had it in mind to close index green on the week but only Transports were able to comply. So the volatility continues. Getting more mojo for bulls was JPM’s Jaime Dimon who bought $26 million of the company’s battered stock. I think he can handle it even if the timing proves to be off. All the previous recent gainers (Treasury Bonds, Gold, and so forth were weak. Beaten down and/or most shorted were squeezed higher. Overall, what can happen over the long Holiday weekend, is something to be feared and positions must be squared-up. In other news, economic data reported Friday wasn’t very supportive of a rally. Retail Sales were flat 0.2% vs 0.2% expected & prior 0.2%. The data was better given seasonal adjustments which is manipulative which doesn’t seem supportive. Import Prices were down -.0.1% and Export Prices fell to -.0.8%; Business Inventories flat at 0.1% vs 0.1% expected & prior 0.1%; and, important Consumer Sentiment fell to 90.7 vs 92.5 expected & prior 92. Market sectors moving higher included: Almost everything. Market sectors moving lower included: Volatility (VIX), Gold (GLD), Bonds (TLT), Investment Grade Corporate Bonds (LQD), Euro (FXE), Japanese Yen (FXY). Volume Friday even on the ramp higher was light comparatively. Breadth per the WSJ was quite positive. This commentary is short due to outside activities preventing my doing anything more. The volatility remains and you’ll note the VIX, despite the gains Friday, didn’t move much. That said, every dog has its day. 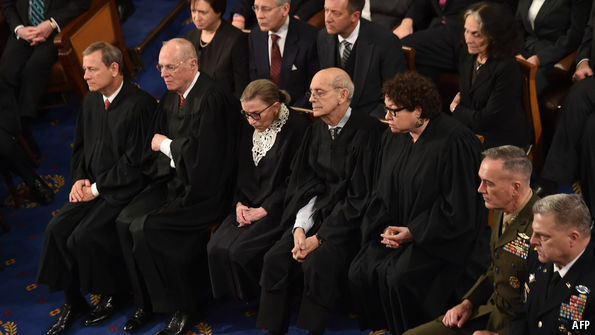 Are the Supreme Court justices too old? WHO will guard the guardians? When Juvenal, the Roman poet, asked this question twenty centuries ago, he was worried about cheating wives. Today, the query is being posed to the elderly judges of America’s highest court. David Garrow, a law and history professor at the University of Pittsburgh School of Law, reminds us in an op-ed at the Los Angeles Times that the Supreme Court has never been older. The baby on the bench is Justice Elena Kagan at 55, now serving her sixth Supreme Court term. Her fellow Barack Obama appointee, Sonia Sotomayor, is 61—as is the chief justice, John Roberts. Conservative justices Samuel Alito and Clarence Thomas are 65 and 67. From there the bench turns decidedly geriatric. Stephen Breyer is now 77 and Anthony Kennedy is 79. The ideologically incompatible opera-loving buddies Antonin Scalia and Ruth Bader Ginsburg are the oldest justices. Both are celebrating birthdays next month; he is turning 80, she 83. The constitution says that federal judges hold their offices “during good behaviour”, which means as long as they like, barring death (ending the careers of 49 justices) or impeachment. Only one Supreme Court justice, Samuel Chase, was ever impeached, in 1804. But he was acquitted by the Senate and so remained in office until his death in 1811. The “good behaviour” standard is rather toothless, as the case of Justice William O. Douglas illustrates best. Justice Douglas, who donned the black robe from 1939 to 1975, spanning administrations from Franklin Delano Roosevelt to Gerald Ford, resisted efforts from his brethren to step down after he suffered a disabling stroke in 1974. It took 11 months for his colleagues to persuade him to retire, but Douglas continued to try to insert himself into court business even after he had been replaced by another long-serving justice, John Paul Stevens. Neither Mr Douglas’s wheelchair nor his addled right hemisphere deterred him from trying to continue to serve the institution where he had worked for nearly 37 years. In his op-ed, Mr Garrow proposes that Chief Justice Roberts follow the lead of the 9th Circuit Court of Appeals, where a programme is in place to watch for cognitive decline and encourage judges to remove themselves from the bench before they start to show signs of forgetfulness or confusion during hearings. The appeals court, according to a US News report last year, “holds regular seminars led by neurological experts to teach its chief judges about the signs of cognitive impairment” and has a “hotline where court staff and judges can get advice about dealing with signs of senility in colleagues”. Judges in the 9th circuit are also “encouraged...to undergo cognitive assessments and designate colleagues, friends or family who can intervene if concerns arise about their mental health”. As head of the federal courts, Mr Garrow writes, the chief justice has the authority “to require his high court colleagues and others to undergo regular mental health checkups”. It is doubtful that John Roberts would deign to assert the authority to make regular psychological screenings mandatory for federal judges. The constitution is largely silent on what the office of the chief justice entails, conferring exactly one specific power on the holder of the gavel: “When the President of the United States is tried, the Chief Justice shall preside". Yet yearly checkups for the justices couldn’t hurt; early dementia and cognitive decline are notoriously difficult to detect on your own. The chief justice could encourage the guardians to watch over themselves more closely. And, as Mr Garrow suggests, he could “recommend a judicial retirement age of 70 or 75” as many other countries and most states in America do, and “could even pledge to serve for no more than 18 years”. For all the virtues of these ideas, they may be a lot to ask of a youthful chief justice whose first decade holding the gavel just passed in a flash: he is unlikely to want to voluntarily clip his own tenure short. Watching the rather ancient justices at work these days is not to witness scenes out of a nursing home, despite some notorious nodding off during recent state of the union addresses. Justices Breyer and Kennedy are active, searching, well-prepared questioners during oral arguments. Justice Scalia might be less tempered and he’s certainly ruder than ever, but, judging by his opinions and his public appearances, his crotchety character does not seem to stem from an intellectual decline. Justice Ginsburg’s tiny frame and tinier voice actually seem a bit more robust this year than in recent terms, and her characteristically incisive command of the issues is undulled. To say that everything is rather swell among the current aging justices is not to say that the founders envisioned this extreme of what Alexander Hamilton called “a superannuated bench”. The whole purpose of life tenure is to remove judges from the rough-and-tumble world of politics and give them the independence necessary to adjudicate disputes fairly and objectively. The idea was not to let individuals reign over the American polity for the better part of four decades. But given how difficult it is to amend the constitution, Americans may be stuck with old judges for quite a while. One hopes the jurists will have enough judgment to police themselves, and each other, as their hair grows greyer and sparser. But, to be fair, I do approve of taxation, but only indirect taxation - taxation based on consumption. To this is added a bank policy that’s been popping up all over the world in the last year - restrictions on the size of transactions that you’re allowed to make with your own money. The higher the transaction amount, the more “suspect” you are of being involved in criminal and/or terrorist acts, which is to be reported to the authorities. Throughout history, those who have believed that they’ve been overtaxed have had but three choices. The first is to simply accept enslavement to the government. The second is revolt of one form or another. The third has always been to move one’s wealth (however large or small) to a better jurisdiction, one where the government has a long reputation for stability and respect for the rights of personal ownership. Sadly, much of the former “Free World” is heading in the exact opposite direction and the reader may wish to consider whether he wishes to exit his wealth from his present country of residence before the door has been firmly shut. In doing so, he may also give thought to expatriating himself to one of the worlds freer, more promising jurisdictions. We think everyone should own some physical gold. Gold is the ultimate form of wealth insurance. It’s preserved wealth through every kind of crisis imaginable. It will preserve wealth during the next crisis, too. The exemption of banks' derivatives positions from bankruptcy protection, along with the mandate to clear derivatives, puts dealer banks in greater danger. Derivatives clearing houses apparently consumed three times the face value of Lehman's equity in four days' time. 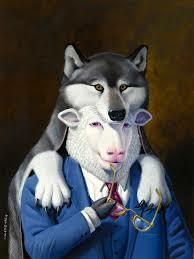 The Orderly Liquidation Authority, a sheep in wolf's clothing, will protect the next bank facing this threat. First, I think it is axiomatic that there will be another Big Bank "episode." However, the purpose of this article is to suggest that the horrors of this event are exaggerated in the minds of investors. So my point is this: Yes, there will be another "crisis." But the process of resolving the problem is not going to be as nasty as some might think. Close observers of the Lehman Brothers bankruptcy may have concluded otherwise. I rebut this view. I believe the fears of crisis-induced dealer-bank insolvency are part of the puzzle of the anemic market valuation of these banks. While there are other reasons for these weak valuations that I accept - such as the European dealers' [Barclays (NYSE: BCS) Credit Suisse (NYSE: CS), Deutsche Bank (NYSE: DB) and UBS (NYSE: UBS)] current desperate dash for the exit door of the dealer community - I believe the valuation of dealers like Bank of America (NYSE: BAC), Citigroup (NYSE: C), Goldman Sachs (NYSE: GS), and JPMorgan Chase (NYSE: JPM) are being unfairly penalized by fear of a TBTF collapse. Episodes are in the genes of financial institutions when they compete. Yes, Dodd Frank makes TBTF "illegal." But the government has outlawed TBTF at least three times so far. The effect of the first two prohibitions have been nil. Once after the Continental Bank Crisis, once after Long Term Capital, and once after Lehman Brothers. Although these episodes are inevitably linked in our minds, they were very different. That's why I use the word "episode," rather than failure or bankruptcy. I take the planned concerted attempt by the federal government to punish the debt- and equity-holders in the next bank failure seriously. There is no longer support within the ranks of government for a multi-billion-dollar bailout under any circumstances. But that bailout can be avoided (barely, with the current fragile OTC market structure) and there is a reasonable plan to prevent TBTF banks from endangering the system. It is clear at the moment that our dealer banks are solvent. In other words, given the time, the large US dealer banks would easily pay off their debts if forced to do so today. The problem is, in crises, a bank is never given time. And very few financial institutions, least of all banks, can liquidate in a matter of days. This fact is the reason episodes are inevitable. When investing in financials, such crises must be considered straight on. It is pointless to go into denial. But expecting such things is, I emphasize, not inconsistent with the purchase of banks' common stock. But in doing so, an investor should consider how the crisis event will play out. In the current environment, which needs changing desperately, it is crucial to understand, on a day-by-day basis, what the likely chain of events will be. The possibilities today are the result of the government's learning experience with past episodes - most recently, and importantly, the Lehman Brothers bankruptcy. There were four interesting aspects of that episode. Lehman Brothers had done exactly zero planning about the effects of bankruptcy on the company. They concluded from the Bear Stearns rescue that bankruptcy was off the table. The filing of bankruptcy was the direct result of a very strong rumor that the regulators would not step in. The derivatives positions of Lehman Brothers, an obvious potential source of problems, split neatly into two pieces: a.) the cleared derivatives, which were terminated and transferred within four days of Lehman's declaration of bankruptcy, and b.) the bilateral derivatives positions, many of which remain unresolved today. The cleared derivatives positions, and their handling by derivatives clearing houses, are the issue that distinguished the Lehman bankruptcy from the earlier experiences. The exchanges, unleashed from any concern for a court defense of Lehman's estate by their exemption from the bankruptcy law, went into an unprecedented instant feeding frenzy, consuming vast amounts of Lehman's marketable assets in a four-day span. So what was learned from the Lehman episode? Three lessons became part of Dodd Frank. Require the banks to develop a detailed plan of how bankruptcy, and economic crises generally, will be managed. Reduce the reliance of the large banks on repo funding and tighten the quality of repo collateral. For bilateral (uncleared) derivatives positions, require much more collateral. None of these remedies is foolproof. But each makes sense and provides some degree of comfort that the next episode will go more smoothly. But there is no discussion in Dodd Frank of the derivatives clearing house feeding frenzy, which by one authoritative estimate, consumed an amount equal to three times Lehman's equity in four days. A fourth remedy of Dodd Frank is the one I believe will be the central focus of the next crisis. Until Dodd Frank, the government had two options in a bank crisis. Go to FDIC resolution (bankruptcy by another name for banks) or bail out the firm. But Dodd Frank introduced a new alternative - the intervention of an Orderly Liquidation Authority (OLA). The OLA will be at the heart of the resolution of the next crisis. What is it, and why is it important? My conclusion is that it is not what it claims to be. It is not, as the name suggests, simply an orderly way of disposing of assets in bankruptcy. In fact, it is a way of preventing the bankruptcy of solvent institutions. OLA claims to be a way of "winding down" a failing Systemically Important Financial Institution (SIFI). SIFI is a euphemism for TBTF. And the unspoken lesson of the Lehman Brothers bankruptcy is exactly that: If there is no OLA, a TBTF bank under pressure is blood in the water of the shark tank that is today's derivatives marketplace. No bank with position exposure in the multi-hundred-trillion-dollar neighborhood - a condition which describes any dealer bank - would be solvent following the clearing house feeding frenzy that consumed Lehman. The congressional mandate of the OLA gives an idea of just what kind of pressure this TBTF institution is expected to experience. The OLA has exactly one business day to intervene before the shark attack begins. In other words, due to the excessive riskiness of the OTC derivatives instrument, the suspension of the bankruptcy law in the case of derivatives creates a situation where every dealer bank must be protected from the other dealer banks or face instant bankruptcy. There was a time, not so long ago, when the bank clearing houses existed to provide their members support in cases of temporary insolvency - protecting solvent members from runs. Today, the clearing members wait for a sign of weakness from a member, then attack and destroy the weak before the courts can intervene. The fate of Lehman showed this. As rumors of the Lehman bankruptcy began (days before the actual bankruptcy filing), the derivatives clearing houses that would be affected (for futures, CME Group (NASDAQ: CME); for OTC interest rate swaps LCH:Clearnet) knew it was coming. Both exchanges immediately moved to receive bids from other clearing members on Lehman's positions and margins. We know the details of the events that followed in the case of the CME, but not for LCH:Clearnet. We know only that the Lehman positions were replaced without loss to clearing members at LCH:Clearnet. At the CME, Lehman lost collateral worth about $3.3 billion in order to settle positions requiring $2 billion in margin funds within four days of filing for bankruptcy, thus costing the Lehman estate a net amount of about $1.3 billion. In that same four-day interval, LCH:Clearnet closed out Lehman's positions and returned a substantial sum to the Lehman estate. How much of the Lehman estate's money was seized at LCH:Clearnet? Nobody seems to know. We have only the estimate of Bryan Marsal, the lawyer representing Lehman in liquidation. He estimates the estate lost between $50 and $75 billion. 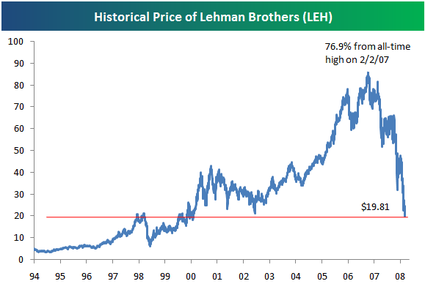 This may be compared to Lehman's book equity at the time of roughly $25 billion. The moral of that story is that without protection, any derivatives dealer in crisis will be bankrupt before it sees the inside of a courtroom. So into this rather bleak scenario, we insert the OLA. It will have available funds in the amount of 10% of the at-risk bank's assets. Would that be sufficient to assume the derivatives positions of the at-risk institution at a fair price? It is by no means clear that this would be the case, since the value of these positions is quite arbitrary in the case of positions as large as those of the dealer banks. But here is my thinking. Suppose the OLA simply takes ownership of the at-risk bank's positions and assumes its clearing membership as well. There would then be a meeting of the clearing members to determine the status of these positions. I find it likely that other clearing members would be reluctant to assert the OLA was under-margined without lending the OLA collateral sufficient to come up to snuff. In other words, the OLA makes good shark repellent. This, and the OLA's option to grant further credit to the at-risk institution later, will give the regulators sufficient time to resolve the episode in a way that best serves the interests of the system as a whole. If there are not sufficient assets to pay the liability-holders in the long run, so be it. That is a central intent of Dodd Frank. Neither stockholders nor debtholders should get free rides if the bank is actually insolvent. But the dealers' newly discovered ability to cannibalize each other with OTC derivatives clearing houses must be stopped. And OLA has stopped it. But there are ways to reduce the clearing member exposure to something closer to the $3.5 billion that was Lehman's futures exposure at the CME. Why not do that? Seoul deploys new U.S. defenses as Beijing won’t stop its client. Groundhog Day was last week, but North Korea’s ballistic-missile test on Sunday may have you feeling you’ve seen this one before. First the weeks of rumors, then the launch, next the emergency session at the United Nations—and then nothing. The pattern will continue until the U.S. stops running its North Korea policy through Beijing. Chinese leaders are supposed to be piqued by Kim Jong Un’s rogue behavior, but they’re as unwilling as ever to impose serious sanctions or cut supplies of fuel, arms, luxury goods and other Kim needs. They also don’t seem too worried that this latest test, which U.S. sources say put a satellite in orbit, means the North is closer to being able to hit the U.S. with a nuclear intercontinental ballistic missile. Not that the Obama Administration seems all that serious either. Though President Obama calls North Korea “the most sanctioned” nation on Earth, he’s wrong. The U.S. lists Iran and Burma as countries of primary money-laundering concern, a designation it doesn’t apply to Pyongyang despite its counterfeit-currency racket. The U.S. has applied harsher human-rights sanctions against Congo and Zimbabwe, never mind the tens of thousands of political prisoners in Pyongyang’s labor camps. Treasury Department officials have argued for stronger measures, on the model of the highly effective sanctions the U.S. imposed on Macau’s Banco Delta Asia in 2005 that forced banks to suspend business with Pyongyang. But National Security Adviser Susan Rice has opposed the move for fear of upsetting U.S. relations with Beijing. The House last month overwhelmingly passed the North Korea Sanctions Enforcement Act, mandating action against entities and individuals tied to illicit weapons programs, luxury-goods imports, counterfeiting and drug trafficking. The White House has hinted that it doesn’t oppose the bill, and the President might sign it if it passes the Senate. But the bill’s effectiveness depends on the Administration’s willingness to squeeze North Korean financing by punishing the Chinese banks through which the Kim regime moves its money. The good news is that the launch has finally prompted South Korea to agree to deploy the U.S.-built Thaad missile-defense system, which is a significant upgrade from current anti-missile batteries and will integrate with U.S. and Japanese defenses in the region. Seoul had been reluctant to deploy Thaad because China opposes it. But this is a good example of how Beijing’s refusal to control its client state is backfiring on its strategic goal of pushing the U.S. out of East Asia. China isn’t likely to squeeze its client unless it sees the U.S. and its allies doing more to isolate the North on their own. Such a policy would seek to end the regime through sweeping financial sanctions that prevent the Kim family from financing the tools of their tyranny, from weapons to whiskeys, and that impose stiff penalties on their enablers abroad. The strategy of begging China has been a failure.